The Daily GRRR! HEADLINES for Feb. 2, 2015. 1. 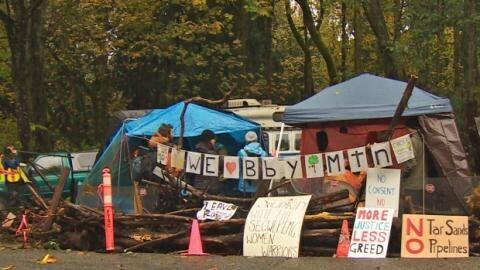 Kinder Morgan drops lawsuit against Burnaby Mtn anti-pipeline protesters. 2. Scientists find 10M gallon “bath mat” of oil on ocean floor in Gulf of Mexico. 3. Peru’s indigenous people hold month-long river blockade against oil company. 4. Tens of thousands rally in Spain for anti-austerity party as elections approach. 5. New web-series shows Hamilton as oppressive, capitalist dystopia in 2025. 6. First Asian-American sitcom premieres on primetime television this week. 7. “Black Like We” anthology raises crowdfunding cash for youth art and writing.